The stone faced customs agent slides my passport back across the desk and politely nods me back into the country. It only takes one long hug on the other side of baggage claim to know that I am indeed, home. This is my place. Almost two weeks later I’ve remembered how to cook my own meals. Without the water restrictions we faced in South Africa, I’m back to taking regularly timed showers and immersing my entire head at once. But each time someone asks me if I’m back to normal— I hesitate. Reentry is such a strange thing; getting back to normal is an odd combination of moving on but not forgetting. I still find myself holding all the things I held there– balancing the beauty, holding the hardness, and allowing certain things to slip through my fingers with the quiet reminder that I am not in charge. The day we left for Africa, I kissed two tiny shampoo scented heads and his freshly shaven face and said goodbye. A suitcase that was barely under weight added to all that I carried inside. Anticipation. Joy. Remembrance. And a fear of not being able to hold it all well. Because, to be honest? Last February I lost it. I lasted three whole days before I fell crazy sobbing wet-faced apart. A complete and total embarrassing mess of body-shaking sobs. I couldn’t take it. I couldn’t look at those babies who had walked through things I’d never known myself and stand there as anything but— a Mother. I cannot divorce my identity as a mother from the girl that travels there in my shoes. I kiss my people and go, holding what I think is only courage and resolution. 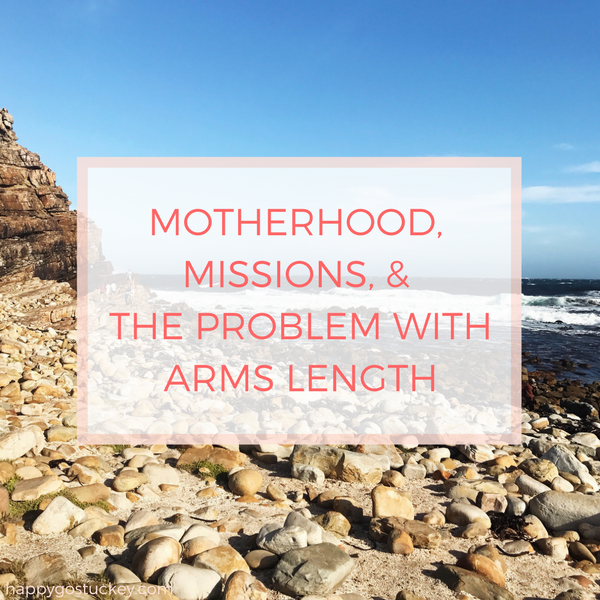 But somewhere in my carryon is my motherhood and it gets in the way of my bravery. It’s true, the stories we take within us can make it difficult to hold the stories we learn along the way. The children are the hardest for me. Mine, theirs, and the ones in between. The babies who only belong to their Creator– the forgotten ones He will never forget. I simply can’t hold it all well with grit alone. I have to be broken. 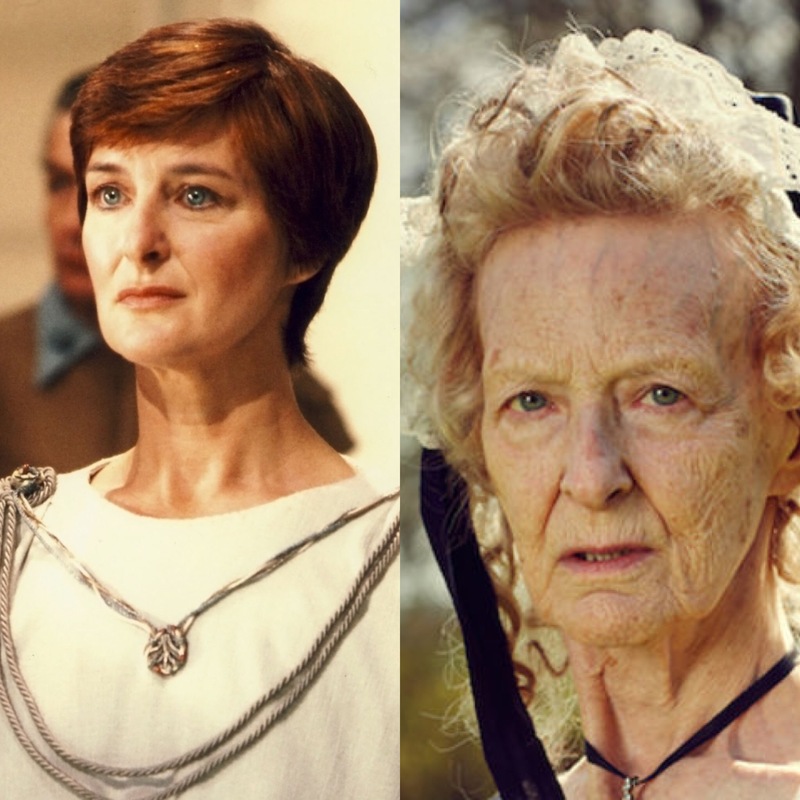 I have to feel for them as my life as a mother causes me to — completely. I cannot see them and not see my own little lookalikes. I cannot watch them walk alone together, and not wonder who is tucking them in at night. Do they have a safe place to sleep? Does anyone tie their shoes? Button their coat? Does anyone? Often I learn a piece of the story and then want to know every single detail ends in a pretty, eventually happy package. And it’s hard not to see a hard story turn into a pretty package before my unhardened eyes. This year I steeled myself for the wave of helplessness. For the staggering paradox of turquoise water and dry hot sand being too clear a picture of the opposite extremes of South Africa. I braced myself. Be strong this time. You’ve seen this before. Pull it together. But deep inside, I hear a whisper and it calls me back to a place of dependence, not resilience. Strong is not the goal. The goal is absolutely to be affected by the pain all around us because, friend? Pain. is. all. around. us. The moment we stop feeling their pain is the moment we lose the benefit of our humanity and our motherhood. Break our hearts for what breaks Yours, God. Knowing that strong is not the goal, I chose a hunt for hope instead. In the deep dark, I want to hear hope like birdsong ringing. And in His mercy that was there before the South African sunrise broke the horizon, He showed me so much hope. He showed me redemption around so many corners. A church that keeps going back. That keeps showing up in hard and beautiful places. A people that thank God for a handful of raindrops when what they need is a deluge. He showed me a glimpse into a township we couldn’t even enter and in it a boy about eight, dancing in obstinate joy against all that surrounded his steps. He showed me an organization that has changed the landscape of the orphan in Cape Town. We saw the no longer motherless in loving arms of belonging. And big sisters caring for little brothers; both living in safety and smiles. There were children who know who Jesus is. And eyes that light up to hold a Bible in their own language. We saw a sweeping narrative of HOPE; and stories that aren’t even close to over. He showed me that last year’s disbelief was necessary for this year’s amazement. He showed me He is still at work. 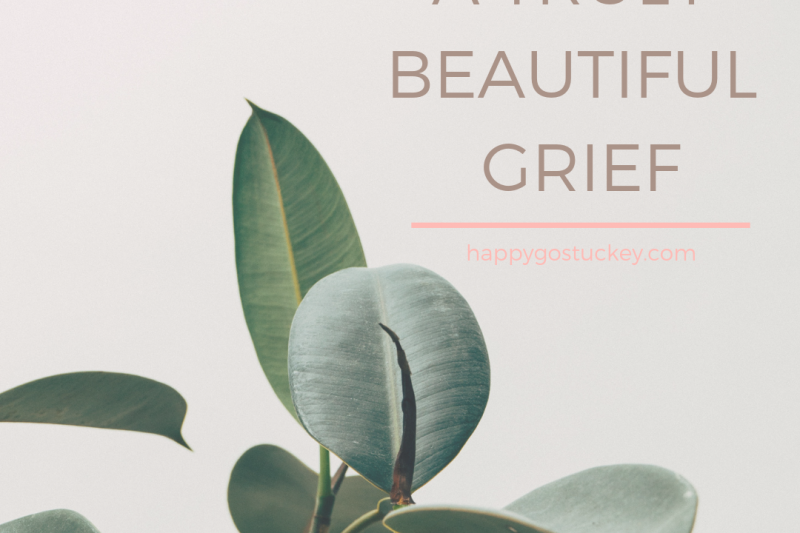 It’s not any easier to bear sad things as a mother; I believe it may be just a bit harder. But now I know my inability to stay at arms length is a gift and not a curse. I won’t lay my motherhood aside when I drive by places I wish didn’t exist. I will lean into the questions. I want to walk bravely without seeing how the story ends— willing to be a small part of what God is doing. As much as we might want to, we cannot remove the mantle of who we are. Even when the threads of our past seem to be a tangled knot that keeps us from helping, they are sewn together in a puzzle we must not discount. It’s 2006 in early spring, and I’m back from college on Easter break. I spend the week at my parent’s house and soak up time with them like soup in a bread bowl. 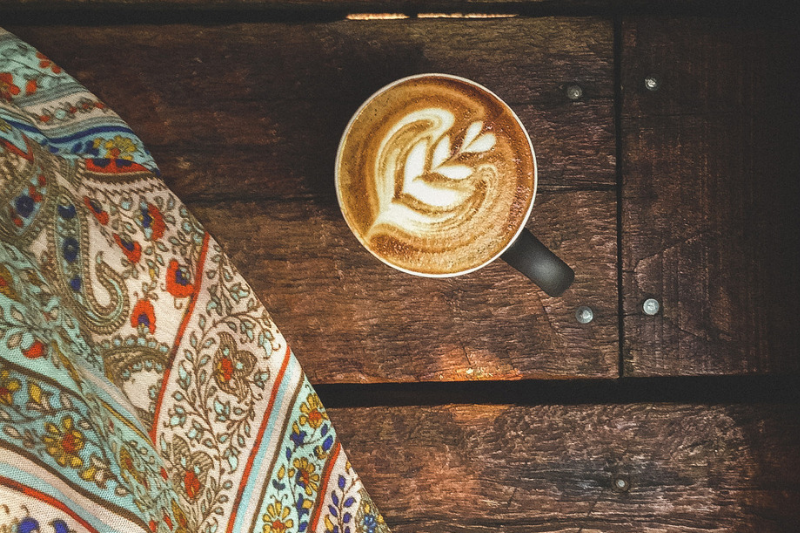 The bookends of our days are long cups of coffee and late night movies. It’s been a year filled with change and I just need to be known for awhile. One afternoon, my Dad digs a hole in the front yard for a Meyer lemon tree. My brother and my nephew Ben lower the new plant into the hole. Ben wears his own garden hat and his five year old knees stick out of black rubber boots. In the ground, the lemon tree is two feet tall. A few days later, I hug my parents twice and back out of the driveway to return to school. The rocks scatter under my tires as I throw a hopeful glance in the direction of the tiny tree. Hope for growth and health. Hope for change for me and for it. Hope seems to be all I am at the moment— but at the moment, it’s exactly enough. It’s been eleven years since that week. I survived college; that season of crazy uncertainty gave way to surprising joys. Now when my tires spin those same rocks, it is with a car full of loves. My tiny nephew is now much taller than me, while the lemon tree towers over him. 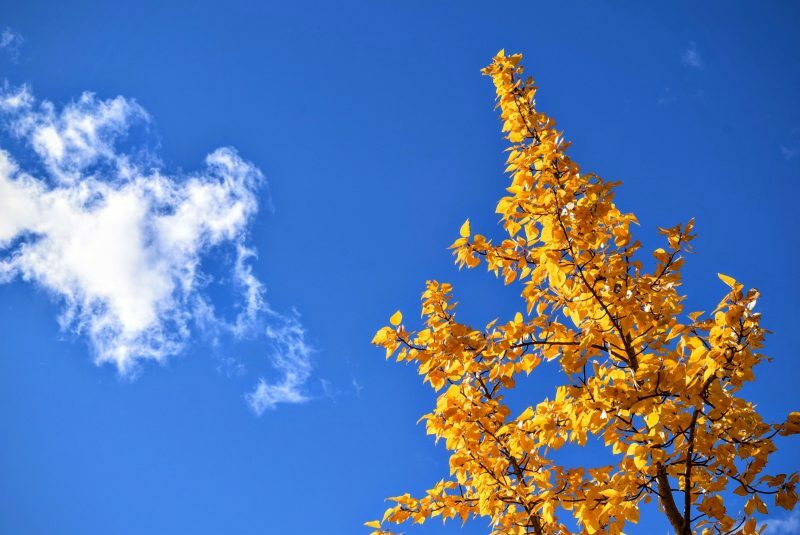 Every November, the branches of the tree weigh heavy with bright yellow fruit. Between stirring cranberry sauce and baking pumpkin pie, dashing outside to pick lemons has become a part of our Thanksgiving tradition. But in September of this year, Hurricane Irma blew through the south. 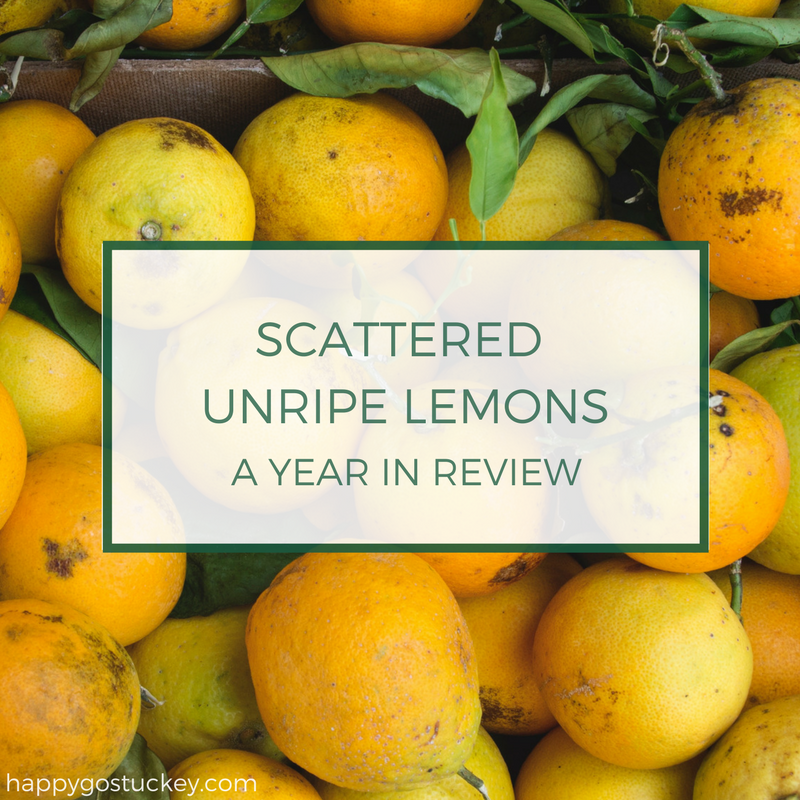 My parents’ house was without damage but the slowly ripening lemons had nowhere to hide. The next morning the drippy, cloudy, sun rose on the house and tree still standing and the front yard scattered with green lemons. My mom brought a paper bag full of them and I laid them out on my dining room table, hoping for the best. They were green, battered, and imperfect. Days later I walked past the table to see huge dots of sunshine all over its’ top. They all ripened, every last one. 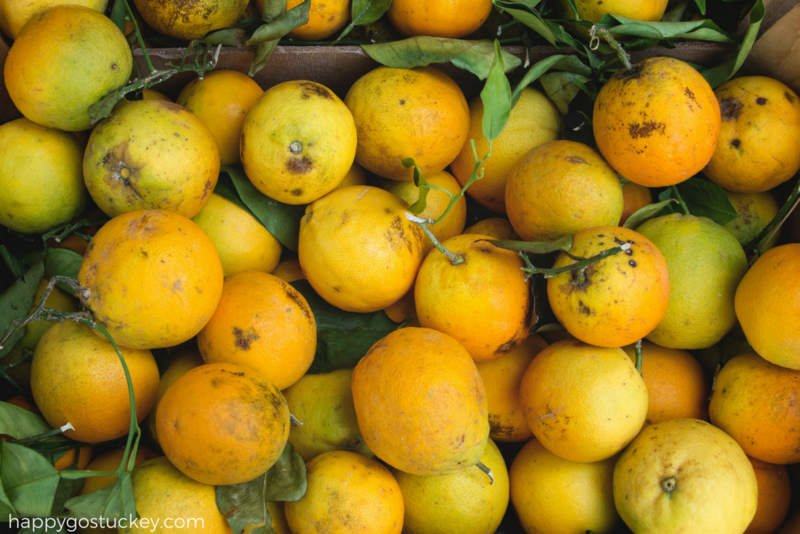 According to experts, lemons need their tree to ripen fully; instead of being picked gently at the proper time, these were hurtled across the yard in gale force winds. Though every single one bears scars of a bad beginning; they taste like streamed sunshine. Each time I make lemon zucchini bread or squeeze juice over my water, I know that the lesson is a gift to me. Perhaps it’s just fruit— but I think it is more. Because matters of growth and waiting and progress can be much like this. Sometimes we plant a tree and wait for fruit to come and it appears beautifully. Except when a storm comes hurtling from the ocean and scatters more than half of a not-quite-yet harvest all over the ground. If you’ve ever found yourself kneeling in the midst of scattered disappointments, then you know the feeling of not wanting to try again. It may appear that the planning season was an utter waste. It may look like the harvest has been cut in half because of circumstances beyond your control. It may feel like no matter what you do you will never get above a certain result. When we say it is God who gives the increase, what we mean is that the results are never up to us. We mean that results are not the currency of faithfulness. Faithfulness is measured by itself. What ripens and what is blown off the tree months before its’ time– that is not our business. Still I know how hard this is, standing with my hands full and fit to dropping all the ways in which I need Him to be the increase. My marriage. My mothering. My service. My work. I can labour every hour of every day in hopes to be the difference that only, ever God can be. I need Him— more than I need to see the fruit of progress. I, too, am standing at the end of a year and though it is full of so much grace, its also labored with a few things I didn’t get to. Routines I didn’t master. Goals that are still in process, always in process. There are a even a few places where I feel I went three steps back. Discouraging is an understatement for that kind of inventory. 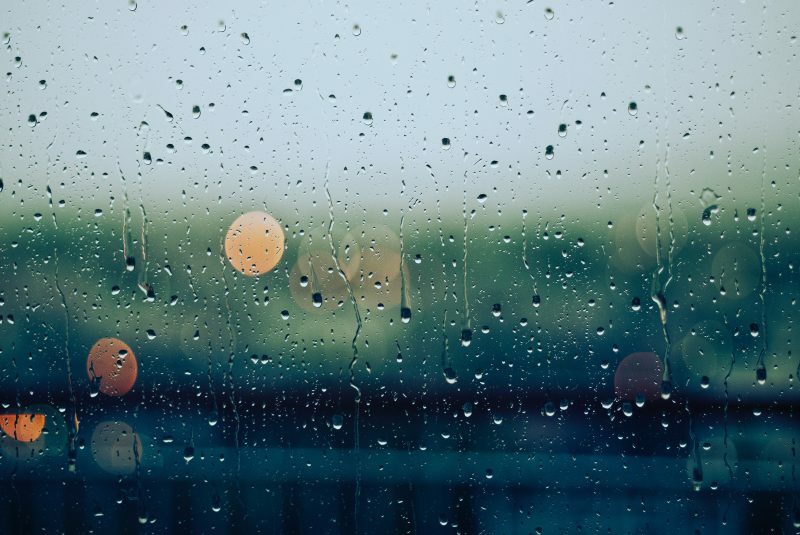 Perhaps we both need to be reminded— what God can do in a torrential downpour is far and away more than what we can accomplish in the glittering light of a sun-splashed day. What He can do with a tiny offering of gifts, time, and talents— that is the true increase. So if you’re here at the almost-end of a year with so much less progress than you hoped, take heart. If you’re dreading the ball drop because it means you didn’t accomplish what you hoped you would, or your progress favors slow, cactus- like growth— have courage. Not courage that we will all of sudden be super human in our results; not courage that says this will be the year that I finally… But instead the courage that knows we are not alone. The courage to trust God with the outcome. The courage that smiles with open hands at the future and the past. In the midst of all our plans and goals, He’s the only One who recovers what has been scattered. He is the only One who brings the increase. And He often makes beautiful growth where all we have is scattered, unripened fruit. It’s time again for sharing what we learned. 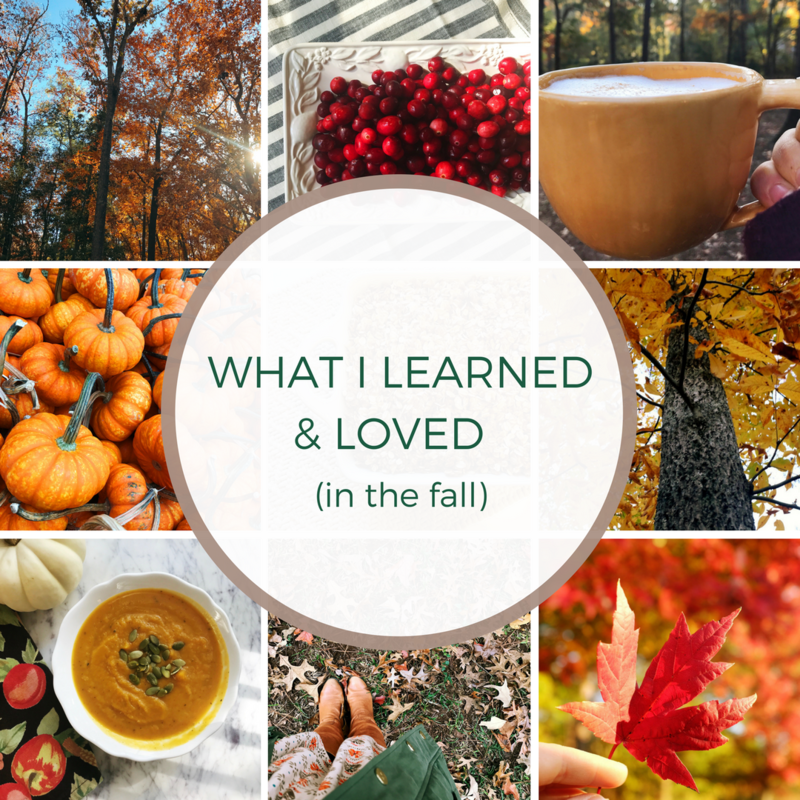 These often range from frivolous to thoughtful with a smidge of random mixed in and this season’s recap is as colorful as fall itself. Stick around for the end and I’ll share what I’m reading, cooking, and a few favorite podcast episodes. One. 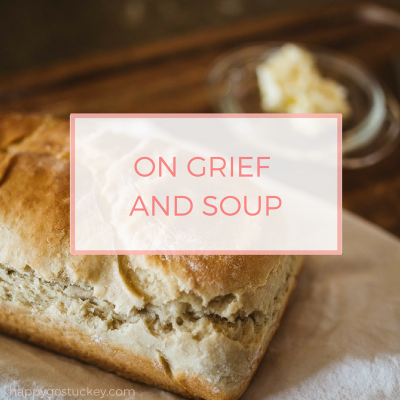 Leaving leftover soup in the refrigerator or freezer for later is an easy way I can be kind to myself. Admittedly last autumn, soup and I went through a rough patch. Following the release of Simmer, I needed a good long break from the artist formerly known as soup. But I’m pleased to announce, that we are reunited, Soup & I, and it feels so good. 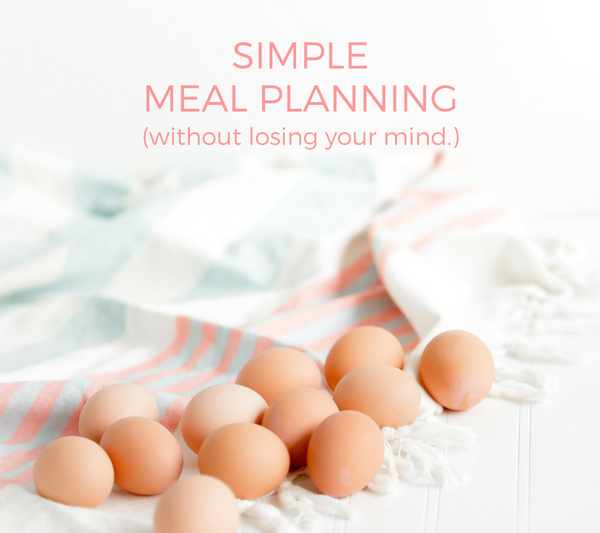 And truly, one of the best ways I can take nutritional care of myself in busy seasons is to plan ahead. Making and freezing soup makes that easy. Three. In a natural disaster, the endless stream of media coverage is both a curse and a blessing. After a lifetime of being narrowly missed by hurricanes, we were lightly grazed with Hurricane Irma and lost power for several days. We had minimal damage compared to so many. But before the storm came here, it barreled right up through my home state with most of our loved ones in its’ path. Having power for awhile nearly made me a basket case because of the constant foreboding updates. The event taught me that a little knowledge may be power, but dwelling on all possible outcomes can be debilitating. Sure, comic relief came in the meme of Moana speaking to the eye of the hurricane and the one with Ross Gellar yelling “PIVOT!!! !” over the storm. But the quiet stillness that permeated the air when we did finally lose power was a strange kind of comfort. Four. 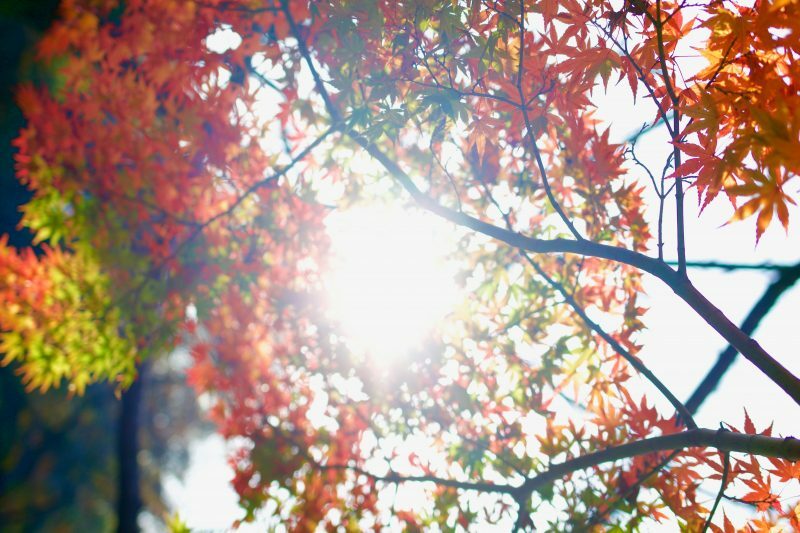 With every single October here that starts sweltering and ends crisp & colorful– I am home all over again. We celebrated our seventh anniversary of moving to Georgia this fall and each year it seems I learn a new lesson about surrender and finding and making home. This year’s lesson was a quieter one. A more peaceful head nod at how far God has brought us in our place-making, how much more delight I find with every new autumn. I feel more alive in the fall. I just do, and it seems that our initial surrender has deepened into a slow contented sigh. What I’m Loving in the Blue House Kitchen. 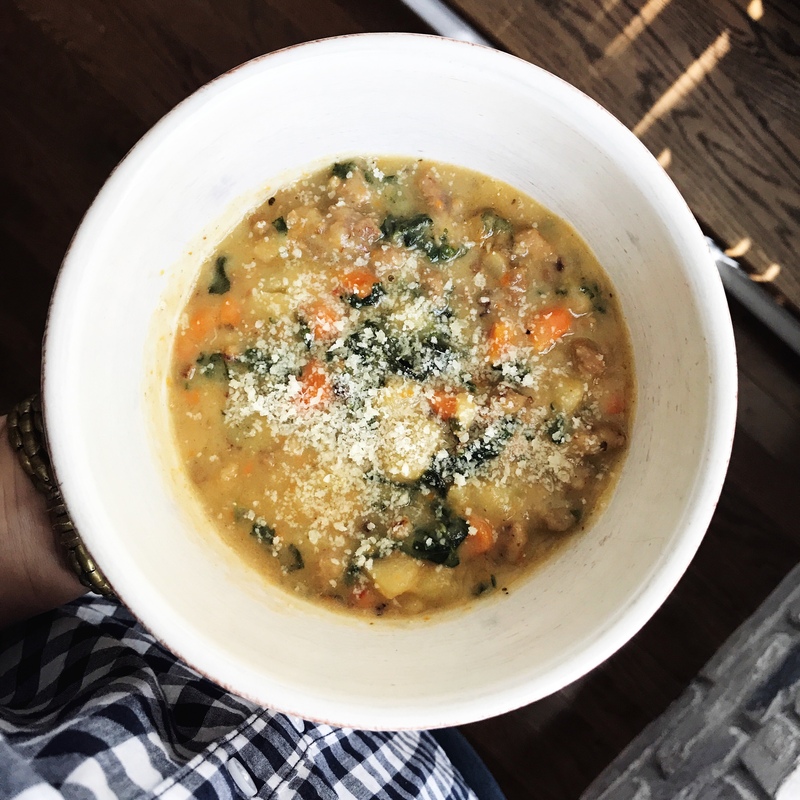 This Zuppa Toscana Soup (you saw that coming, right?) I add chopped carrots and double the kale. This Apple Crisp, because though it’s technically dessert, I like to cut the sugar and serve it with greek yogurt for breakfast. 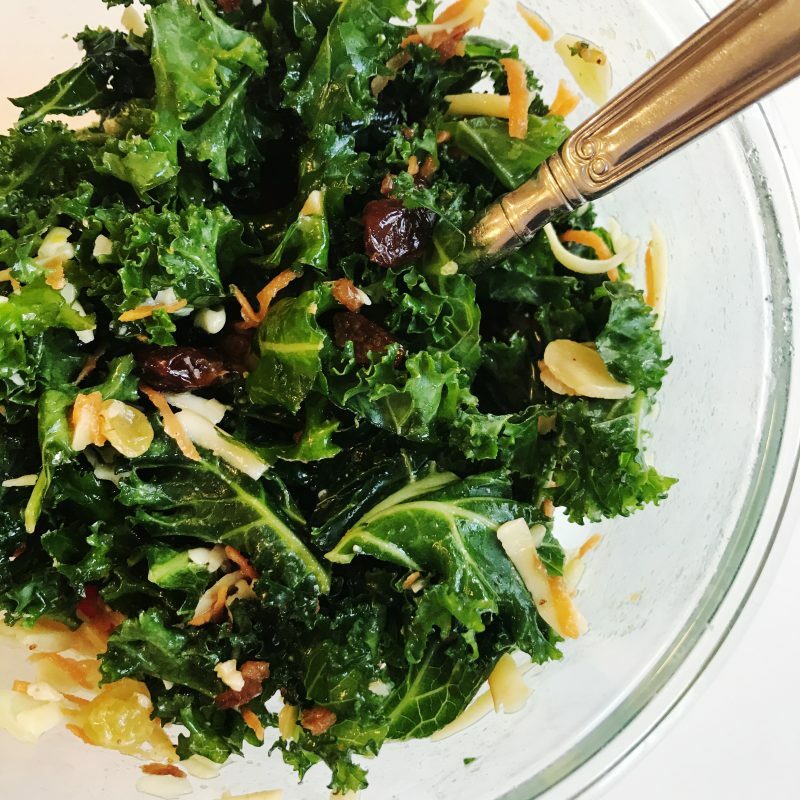 Kale Salad like the one from Caviar and Bananas in Greenville. And finally, the Plan to Eat website is rocking my world. I have tried several different meal planning/ meal prep helps and this one finally seems like a winner. It’s inexpensive and I can link recipes from anywhere. It’s kind of like a recipe database which I can then drop onto my meal planning calendar and then generate a shopping list. They’re offering a 30-day trial which was more than enough for me to realize I loved it. Books I Finished in the Fall. Everyone Brave is Forgiven. Beautiful and still a bit tragic, this was very different from the last few WWII novels I read. I imagine it’s quite true to life, though. The premise of the book is creative and intriguing. 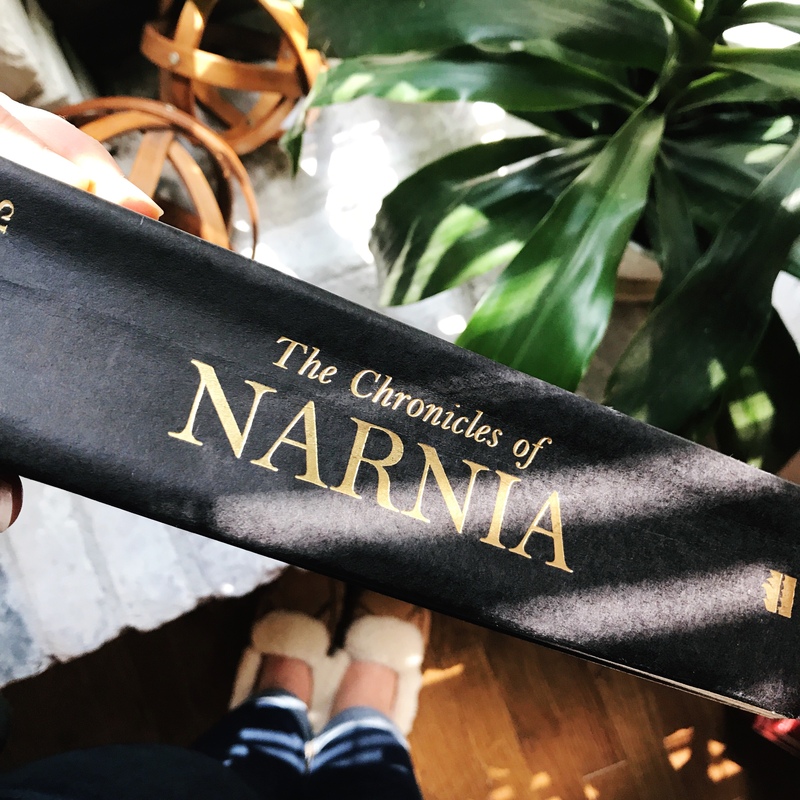 The Voyage of the Dawn Treader Lucy and I are slowly working through the Narnia series and I find something new with each one. Anne of Avonlea. Simply lovely, of course. The Monster in the Hollows. This third book in the Wingfeather Saga was my favorite so far. My list is a bit short this time. As it is, I have about ten other books I started in the fall that are still in progress. I can’t commit to just one book at a time. Ask my husband. He has to look at my crazy to-read pile which could be its’ very own end table. Any one else in this club? 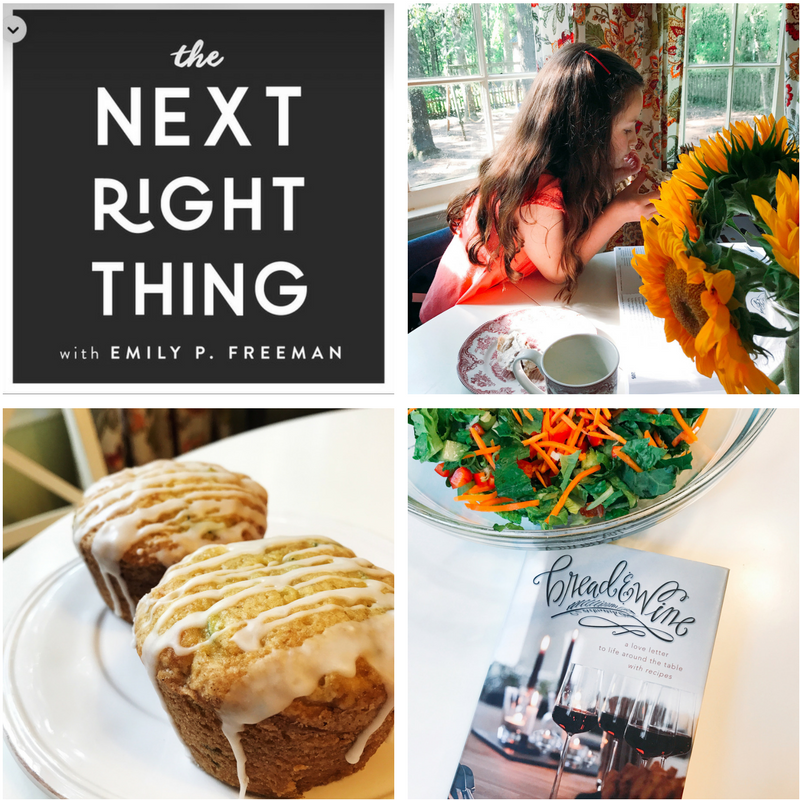 *** I love this seasonal practice of paying attention that Emily Freeman hosts. Feel free to hop over there and see what others learned also. I would love to hear what you learned this fall. Just write in the comments or in a quick email. As always, amazon links may be referral links but the opinions are 100% my own. The entire month of December calls me to slow down. Even though we have to fight the busy-ness off with a large stick, I love the natural slowing that eventually comes. One of the ways I remind myself of the importance of a hushed schedule, the need to pull in just a bit with my people– is reading. For several years, we’ve slowly added to our Christmas book stack a few at a time. I’m always searching the holiday sections at used book stores for fall and Christmas books. Here’s a list of our favorite Christmas books. 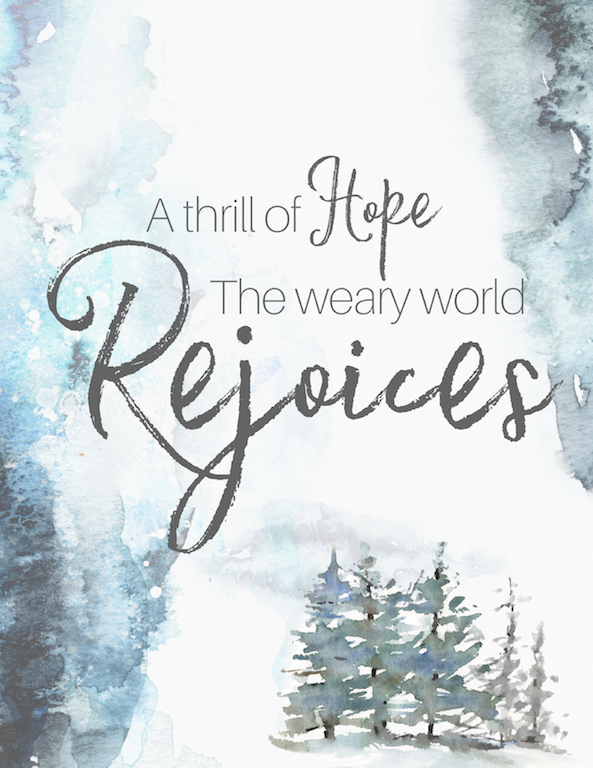 I hope they help you on your journey as you embrace hope and togetherness this season. And… I just requested this at the Library because— ANNE SHIRLEY. The links above are all referral links, (which means that at no extra cost to you, Amazon thanks me for pointing you in the direction of the books listed.) But by all means, search your used book stores for these treasures. If you have a 2nd & Charles store, that is where I found many of mine. 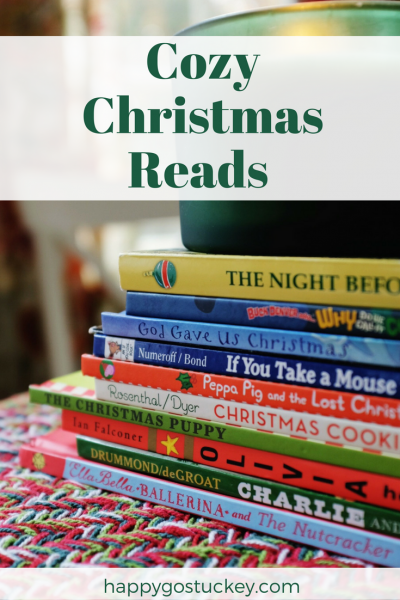 I’d be delighted if this list helps you curate your own Christmas book stash, and I’d love to hear what your own top picks are in the comments or by email. 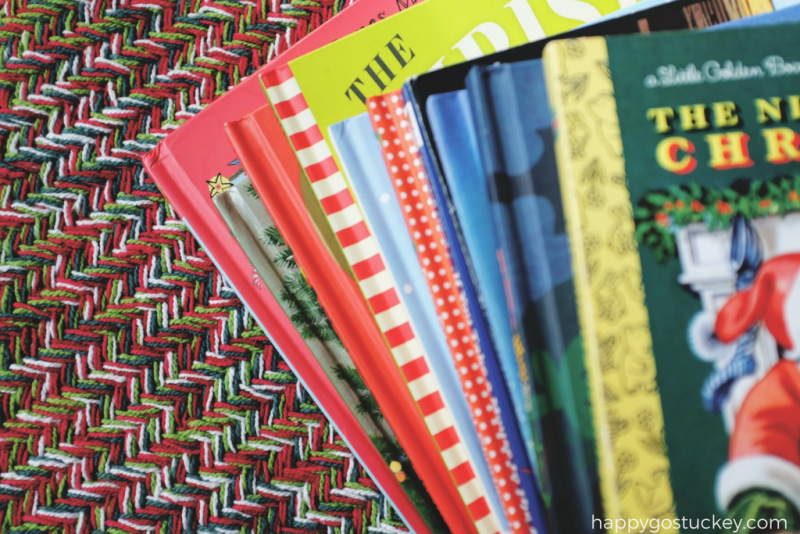 I’d truly love to know– what are your can’t miss Christmas Books? Do you wrap them one by one or just place them in a basket near your usual reading spot? I’m a basket person but the wrapping always sounds fun. 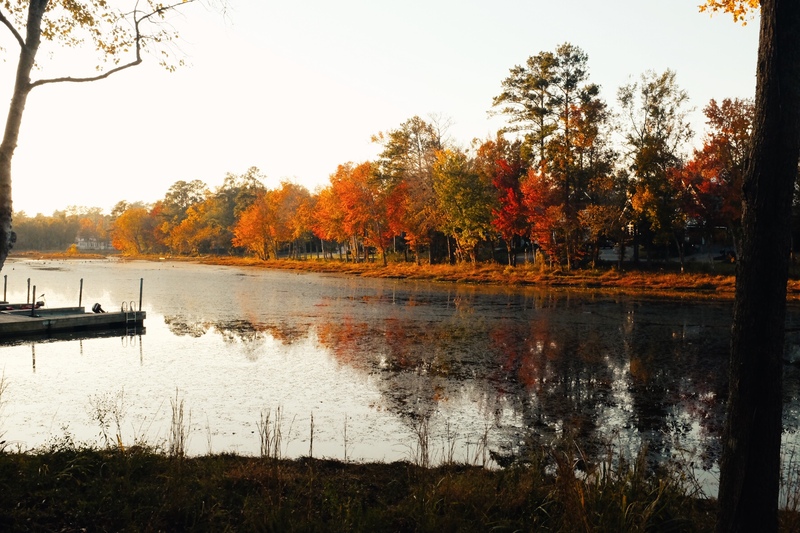 When we moved to Georgia several years ago, we left North Carolina at the height of a colorful Fall. Admittedly, I was afraid that the classic Autumn patchwork I loved would not show up in the South. Three days after we moved into our new home, a parking lot made me cry. 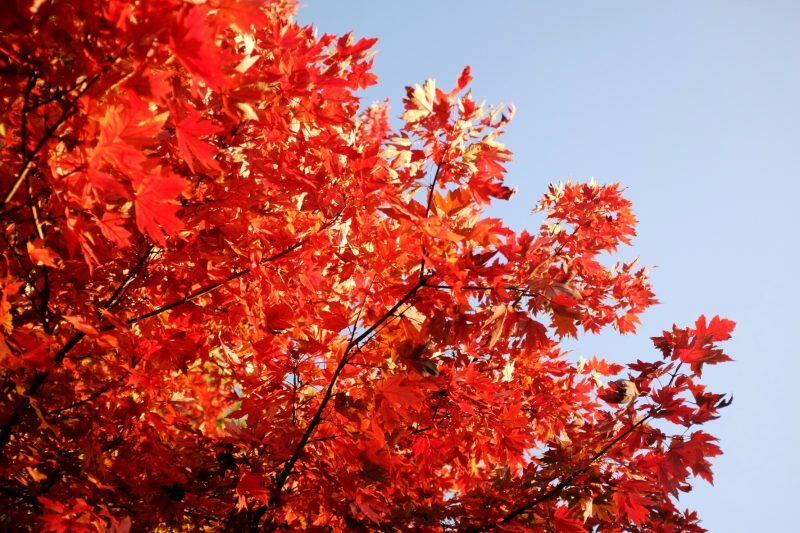 In my new favorite spot at my brand new Target, I shut off the car and looked up– straight into a row of fiery red trees. Hot, happy tears brimmed my eyes. Because as crazy as it is, I thought we were moving away from a proper Fall — and I was more than happy to be surprised. In seven Autumns, I have been educated on all the things that surprised me about that first season. 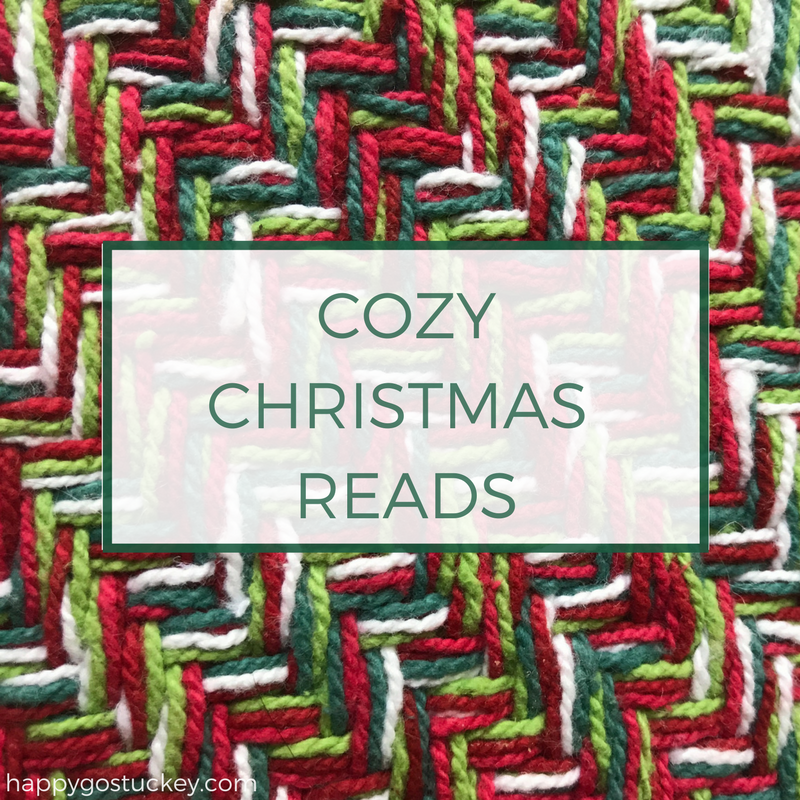 I know that our house requires sweaters and cozy socks beginning in early November. I now know what shade of blue an October sky is. I know that Halloween is often balmy and warm. 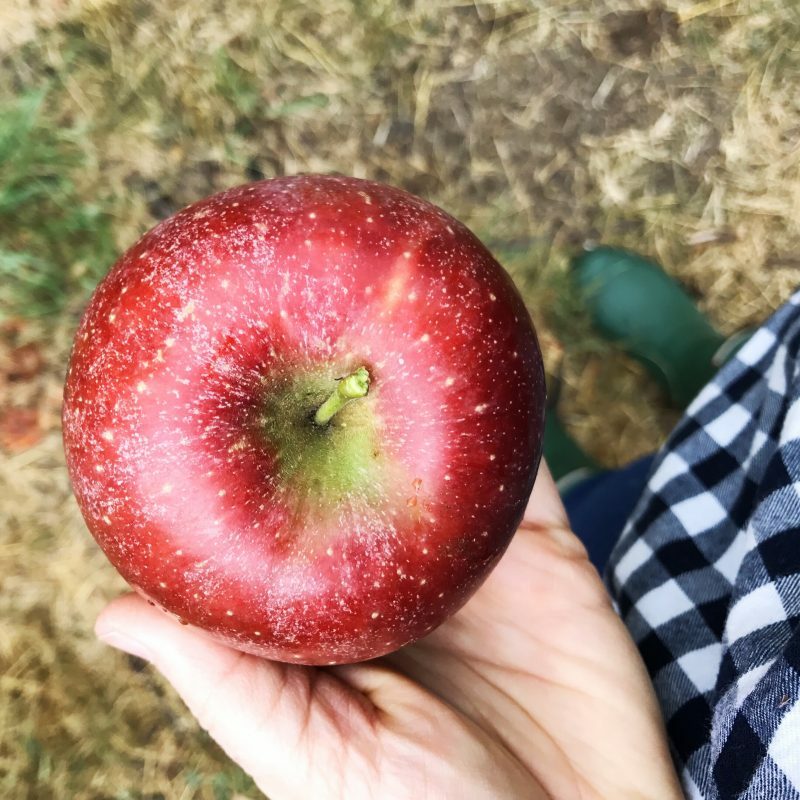 And by the time I stand in the kitchen amidst pumpkin pies and cranberry sauce– our backyard is ten thousand show-offs of a finally realized Autumn. With every single October that starts steamy and ends crisp & colorful– I am home all over again. In all this slow realization that I am more settled with each season, I find the deep desire to relish my today. To know that I mustn’t cling where I haven’t been grounded. To remember that God is good, no matter how I feel. Do you know how it is to be caught between a once home and a not-quite? I do. I’m not in that place of change anymore, but I might find myself there again one day. That knowledge makes me want to be the one who speaks into the places you’re feeling green, and new, and not yet comfortable. I want to tell you it’s ok even if it isn’t easy yet. Because it takes time to make a place in a new location. Our hearts need room to settle slowly, one new memory at a time. We do different things now than we did back then. Our Sundays are different. Our Saturday mornings, too. Our coffee shop has changed and changed again. But in the years that we’ve learned the song of our opening kitchen door, we have found it– the familiarity of place-making. Still, I feel like home is more an act of surrender than it is an address on our electric bill. You might feel that– at least the painful part of the surrender. You know it doesn’t always come easily. Sometimes the work is in the love that we choose for the place we are given. We make accidental memories and then return to them again like a child in a twirl. Sometimes we build it with conscious decisions to celebrate the present. Other times it is built in us despite our desire to run away, back to what was familiar. But I know that even when we are not yet comfortable, God is good. I know that when we would choose to change a thousand things, He is doing a thousand things deep within us. In that place that is only uncovered in the uncomfortable, He is at work. And He can be trusted. 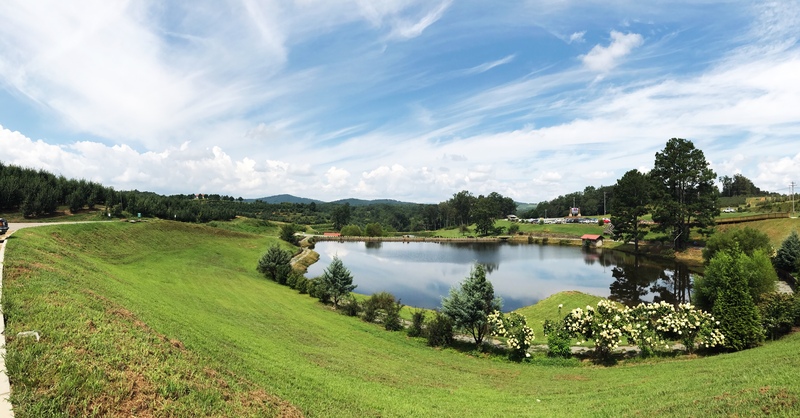 One of our family’s accidental traditions has grown into a brief, yearly trip to the Georgia Mountains. 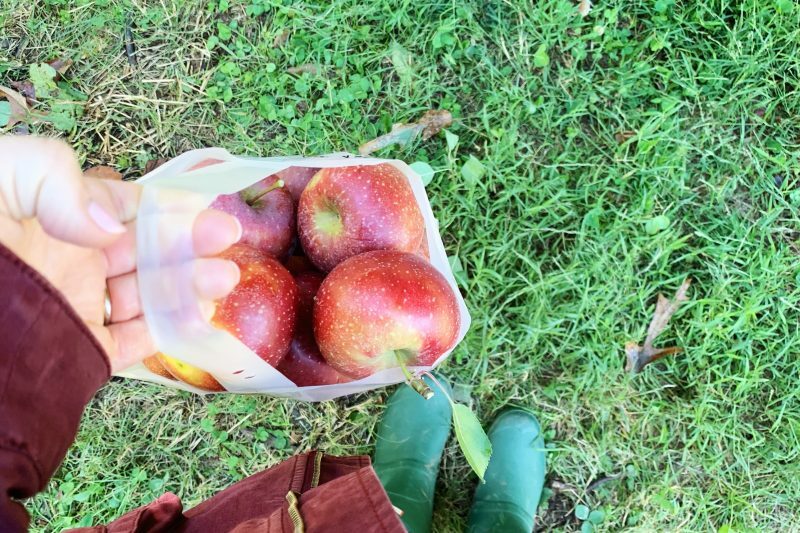 This year we picked apples in late summer and hiked and rested and laughed until the very last minute was over. My sweet mother in law made this delicious Cinnamon Apple Crisp and we’ve made it three times since then. See what I did there? Accidental tradition. It’s warm and simple and spiced and delicious. Make it. You won’t regret it. 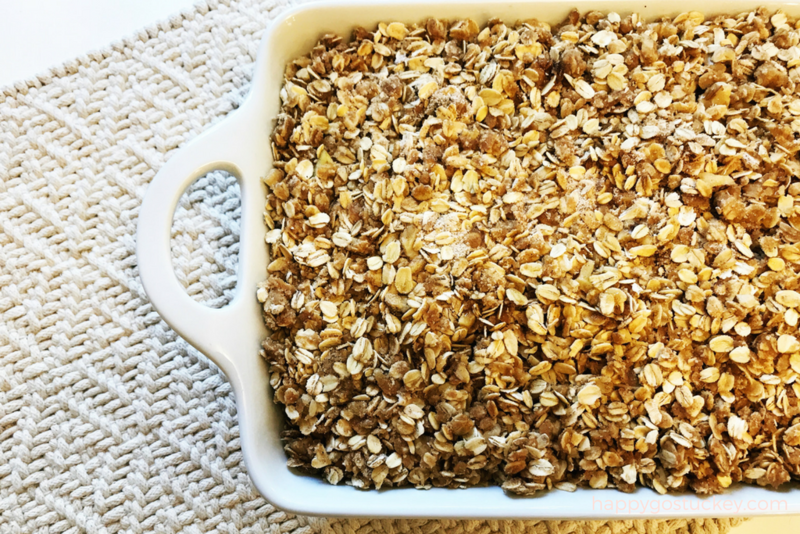 In a large bowl, combine flour, pecans, brown sugar, salt, oats, melted butter, and cinnamon. Mix. Bake for 30-35 minutes until light brown. Roasted Vegetables. Those two words make my foodie heart swoon. When eating out, if I see roasted vegetables on a menu, I will almost always order that thing– whatever it is. Roasting brings out all the flavors with very little effort or extra ingredients. I’m fairly certain that we’d all enjoy a lot more vegetables if they were roasted. They feel fancy enough for a dinner party, though they’re simple enough for a regular Thursday night. If ever I am running out of side dish options for the table, I will usually just grab whatever vegetables are in the fridge and give them a good roast. Here’s my basic recipe and a few tips that make ALL the difference when roasting. Uniformity. The closer in size your pieces are to each other, the more evenly they will brown (re: not burn before the rest are done.) Don’t stress about this, just keep it in mind. You can see in the photo above that this isn’t an exact science. Higher Heat. Vegetables cannot truly roast until about 400′ or even 425′ — anything lower and they take too long and may get mushy. Parchment Paper. This one is obviously optional, but you will use way less oil if you grab some parchment and let it handle the non- stick factor for you. These pre-cut sheets are a convenience item I love. Vegetables need space to cook well. They’re introverts, basically. But really, they need a little bit of space between themselves to allow the air to circulate, otherwise they steam instead of roast. This is why you cannot roast in multiple layers. As Julia Child said, “Don’t crowd the mushrooms!” *I usually end up using two pans if we are roasting a lot, but with the parchment the cleanup is easy. Don’t Over-Season. 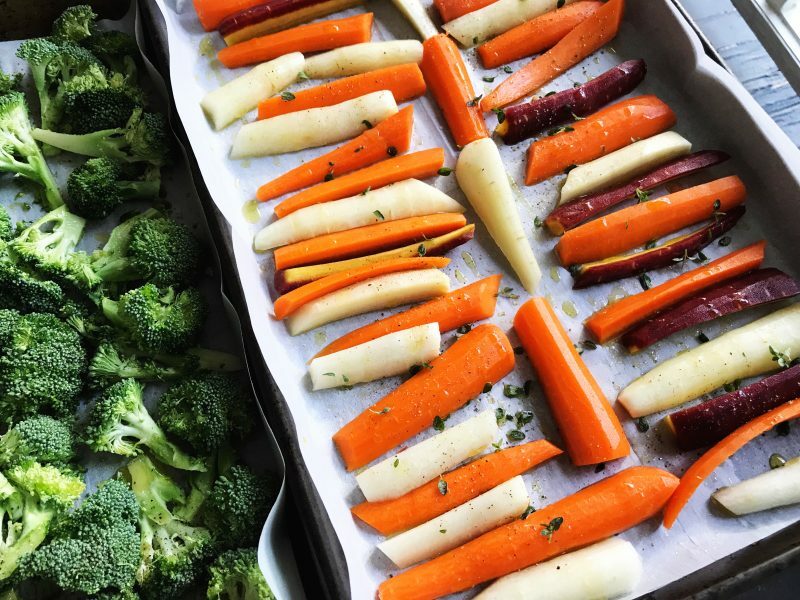 The best part about roasted veggies is the natural flavors that come out as they roast; I’m looking at you– carrots. I always add a pinch of seasoning to start with, and then taste them again at the end. This method works for broccoli, corn, peppers, onions, mushrooms, brussels, sweet potatoes-- even fresh green beans! Just alter your cook time a little if the vegetables are smaller, like corn. 1lb. Fresh, peeled carrots, cut in half lengthwise, and then cut on the bias in 2-3 inch pieces. Line a baking sheet with parchment paper and add a drizzle of olive oil. 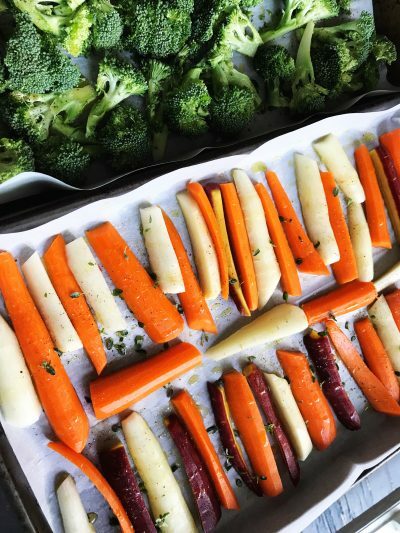 Toss the carrots on the baking sheet, add another drizzle of olive oil and toss them with your hands. Add a pinch of kosher salt and a couple of grinds of black pepper and thyme if using. Roast for 10 minutes, then toss with a spoon and roast for 7-10 more minutes. Add a few more minutes at the end until they are beginning to brown in places and are as tender as you like, we prefer no longer crunchy but not too soft. Taste for additional Salt & Pepper. This is what it is to truly summer. To delight in what we hold, knowing we won’t hold it for much longer. The quarterly practice of paying attention to what I learn is important to me. The weeks tend to fly by and if I don’t stop and mark the days and moments, it’s hard to remember what I brought away from them. 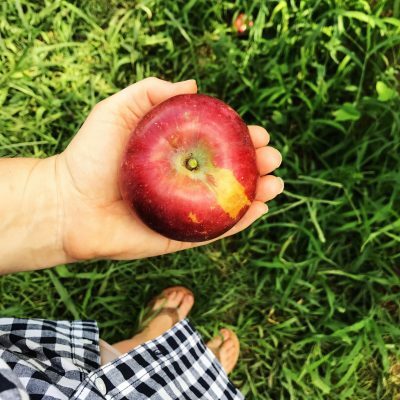 Emily Freeman always gives me a friendly reminder to remember with her What I Learned posts– if you would like to add your own list or peruse what others have learned, hop over here for a visit. 1. Pre-cut parchment paper sheets, make life easier and are a convenience item I can completely justify. They mean we will eat healthier and have faster clean-up on a weeknight. Two words: Roasted Vegetables. 2. Creating an atmosphere of simple fun and joy means as much as creating a masterpiece. 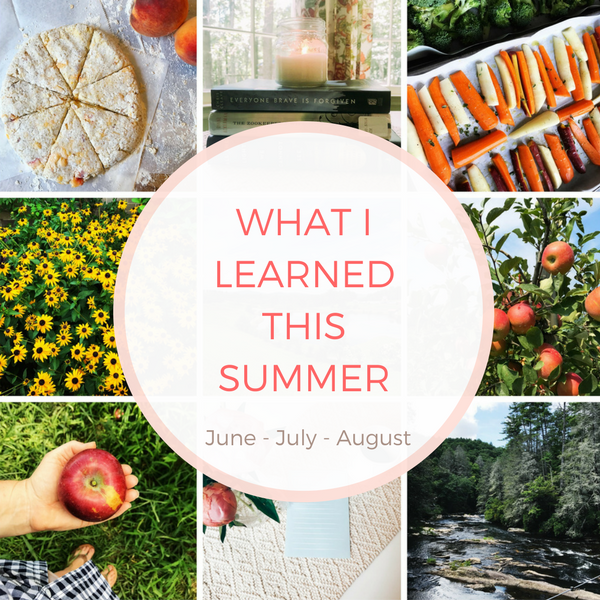 About half way through summer– completely discouraged with all I had not accomplished, I remembered the importance of welcoming my absence with open hands. Did you have a moment like this? 3. You all love scones as much as I do. 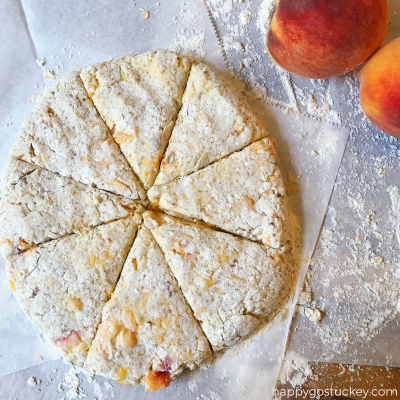 I shared a recipe for our favorite Peaches & Cream Scones and many of you made them and wrote back to let me know. I simply love that you did because it makes me feel like we’re in the kitchen together. 4. The reason for a celebration is often its’ own lovely reward. Lance and I celebrated ten years of marriage at the end of August. We celebrated in a cabin with fifteen other family members. We celebrated with an amazing dinner date just the two of us. We celebrated for days before and several days after. It was a big deal to both of us– but without a doubt, the greatest gift– the most spectacular glittering part of our anniversary? Realizing that TEN YEARS of marriage is its’ own beautiful gift. More thoughts coming on this later. 5. I will always love butter (does that sound as weird as it does as I type it?) But I had forgotten how much I enjoy olive oil in baked goods. I made both Shauna Niequist’s Berry Crisp with olive oil and these muffins and was reminded how good and light it can be. 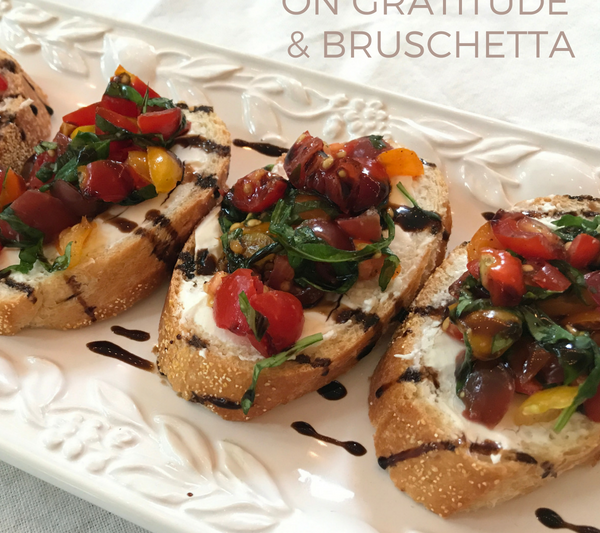 Try substituting olive oil in something– perhaps you will like it too. 6. The mountains in Summer are not the mountains in Fall, but they are spectacular in their own way. We picked apples in flip-flops. We went tubing down the river and fell in once or twice– all without frostbite. We hiked and picnicked and splashed in the lake and then dried out in the late summer sunshine and all my mountain memories are sitting here with me, long before the weather turns cool. 7. It appears I only wore one shirt all summer and it’s this one. Scanning through Instagram, I realized that I was wearing the same shirt in every photo of myself. It’s my favorite– so why not? How’s that for a capsule wardrobe/ summer uniform? Do you find you wear the same few things? 8. Reading fiction increases both my empathy and my understanding. I’ve read several books in the WWII genre this summer, all dealing with different aspects of the war and the brave ones who walked through it. I’m amazed at the stories of both the resilience and the hardness of it all. The most beautiful stories continue to pour from Texas as they continue to battle in the aftermath of Harvey. If you are a reader there in the midst of this terrible time, please know we are praying and giving and desiring to help. If you are not and are still looking for a way to be involved, Melanie Shankle has a great list of ways you and I can help. 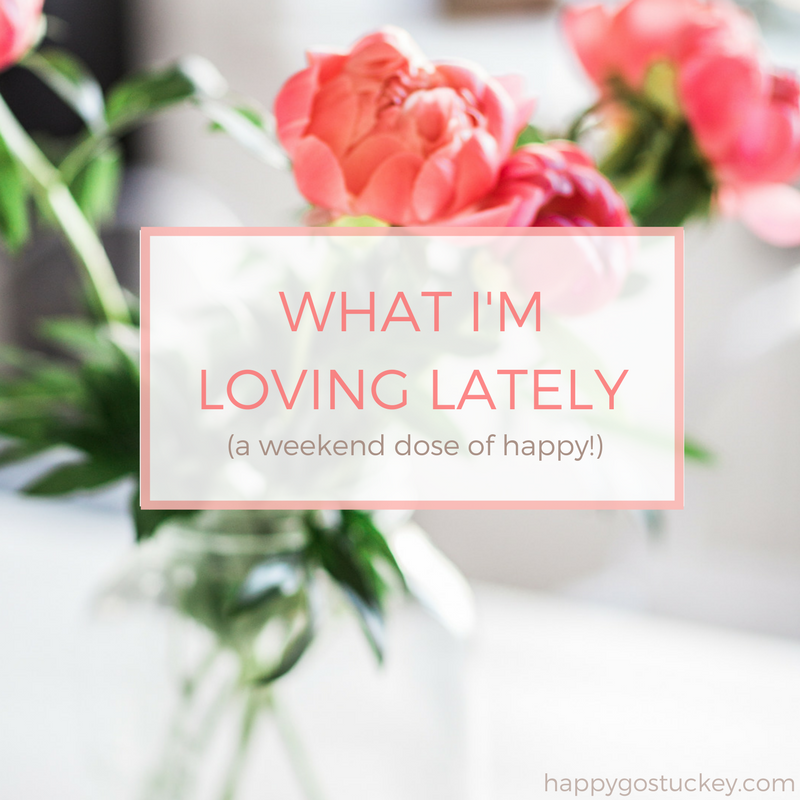 If you missed my Spring What I Learned list, you will find it here.